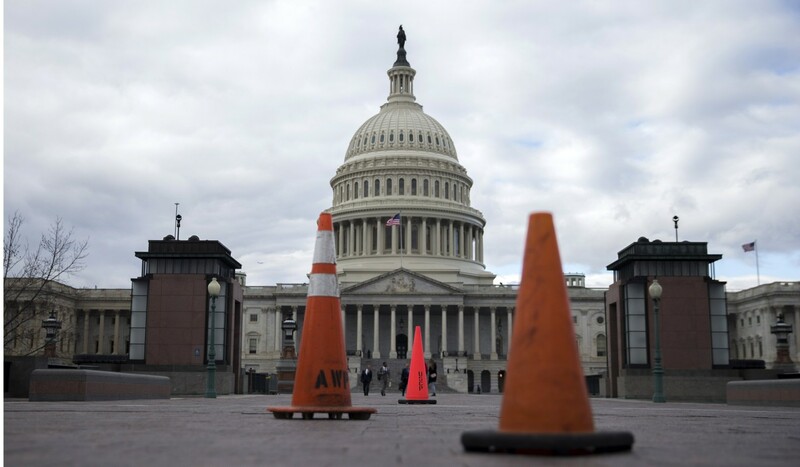 The good news about last weekend’s ill-advised US government shutdown, otherwise known as the Great Democratic Climbdown, is that it was so brief – it lasted just two and a half days, mostly over a weekend. You may be forgiven for having missed it entirely. For those who have been bemoaning Washington’s political dysfunction, and for those gleefully rooting for it as well, the shutdown was just another data point proving that America’s vaunted political institutions simply no longer work effectively. And who exactly would be rooting for such dysfunction? Just look up North, where the Communist Party officialdom in Beijing, and its erstwhile cheerleaders here, have lately been making the case that all the Western democracies are coming apart at the seams. China, according to this world view, has built a successful alternative governing model that works and can be emulated. For the purveyors of this viewpoint, Britain’s Brexit vote, US President Donald Trump’s 2016 election and the rise of populism across Europe were a godsend. Before last year’s Communist Party congress in Beijing, the coming-out party for China’s newly confident triumphalists, Xinhua, the state-run news agency, crowed “Crises and chaos swamp Western liberal democracy”. China’s superior system, Xinhua said, “maintains political stability and social harmony”, unlike “competitive, confrontational Western politics”. Admittedly, the “alternative model” theory sounds awfully seductive when looking at the success in China and the mess in the West. That’s particularly true when the US Congress could not complete so basic a function as passing an annual budget to keep the lights turned on. Even after planning for an expected economic slowdown, China still managed a growth rate of 6.9 per cent last year, suggesting the Chinese “miracle” has not yet run out of steam. Predictions of a “hard landing” under too much accumulated debt, slowing government investment and tougher anti-pollution controls failed to materialise. China’s building boom continues to dazzle. It’s high-speed railways are about two thirds of the entire global network, and plans are to extend them into Europe and Southeast Asia. China now leads the world in mobile wallet payments, and has bold ambitions for electric cars, artificial intelligence and facial recognition technology. And the US? We all know about the crumbling infrastructure, and the old and overcrowded airports. The Trump administration and Congressional Republicans have promised to introduce an infrastructure repair bill this year, but progress looks fraught after the current battle over spending and immigration. Trump, meanwhile, is still grappling with a federal investigation that is likely to dog the entire second year of his presidency, with some former top campaign aides facing criminal trials this year. Midterm elections in November could see the House of Representatives flip hands to the Democrats, virtually guaranteeing more gridlock for the remainder of Trump’s term. The scene in Europe looks equally bleak. Britain is negotiating its exit from the EU, a split that could leave both Britain and the EU far weaker on the world stage. Germany, long seen as the continent’s saviour, is facing a political crisis after Chancellor Angela Merkel’s party came up the big losers in the last election. And some Eastern European countries, notably Poland, seem to have been backsliding on three decades of democracy. So there is a lot of evidence out there that the China triumphalists just might be correct. But still, count me as an optimist for the other side. I continue to believe the death of the West is greatly exaggerated. First, even though we elected a president many consider demonstrably unqualified and temperamentally unfit, so far it appears the guardrails are holding. The built-in checks that make big decisions difficult – two separate houses of congress, the Senate needing a supermajority for most bills, the fiercely independent courts, and, yes, the dogged news media – limit the damage even a radically disruptive president can do. America’s federalist system helps too. Trump can withdraw the US from the Paris climate agreement, but California, the biggest state, has announced it will continue with the global alliance fighting carbon emissions. The infrastructure may be creaking, but the US remains a country of innovation, creativity, and the place where global trends begin, from Occupy to Black Lives Matter to the current #MeToo movement for women’s rights. Look around the world and you see that elections are now the norm, not the exception. Even authoritarian leaders see the need to legitimise their rule with some kind of popular vote. Many are flawed, to be sure. Often the rules are fixed, for example to preserve a key role for the military. But most leaders, from Russia’s Vladimir Putin to Cambodia’s Hun Sen to the generals running Thailand feel pressure to hold some kind of election. China is indisputably the world’s rising economic power, soon to overtake the US. But its glowing growth rate masks a per capita gross domestic product lower than Mexico and Equatorial Guinea, according to the World Bank, the International Monetary Fund and the UN. In terms of purchasing power parity, China falls well below Thailand. China’s growth is uneven between the coasts and the hinterlands, it has a huge wealth gap, and ranks high on the corruption scale. Around Asia, countries want China’s trade and investment, but they also want the US to stay around to guarantee security. Japan, South Korea, Singapore, even America’s erstwhile foe Vietnam have sought commitments that the American military would remain in the region even under Trump’s “America First” banner. Few neighbours, besides Cambodia, Laos and long-time ally North Korea, openly welcome China. When your only real allies are Kim Jong-un and Hun Sen, then you might want to rethink your “soft power” strategy. Democracies have a way of self-correcting. I was living in Paris during George W. Bush’s first year in office, when he was greeted with widespread protests as “the Toxic Texan”. Anti-Americanism deepened after the ill-fated invasion of Iraq in 2003, and America’s image in the world plunged to an all-time low. But in 2008, Barack Obama was elected the first African-American president, and people around the world – Europe, Asia, even China – were elated. America once again was the global trendsetter. Now the image of the US is once again taking a battering. 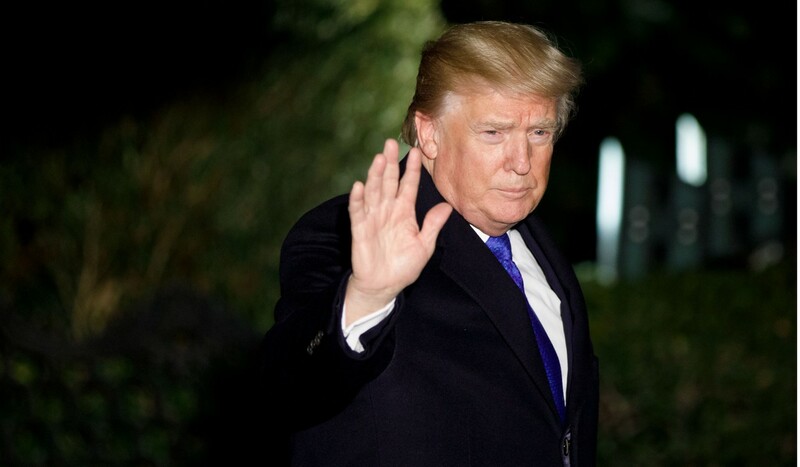 Just 30 per cent of people surveyed across 134 countries last year approved of American leadership under Trump, according to Gallup. The only good news for the US from that poll? China is scarcely more popular, at 31 per cent. I’m betting America will self-correct again after the era of Trump, the way it always has, whether in this year’s coming midterms, in 2020, or in 2024 when Trump can no longer run. Whenever it happens, America’s standing will once again rise. Will China’s global image also improve in that same time? Who wants to make that bet?